Prime Minister Shinzo Abe’s cabinet today approved Japan’s biggest annual defence budget in the face of North Korea’s nuclear and missile threats and a territorial row with China. The Cabinet approved 5.13 trillion yen ($43.6 billion) in defence spending for the fiscal year starting in April, up 1.4 per cent from the initial budget for the current fiscal year. 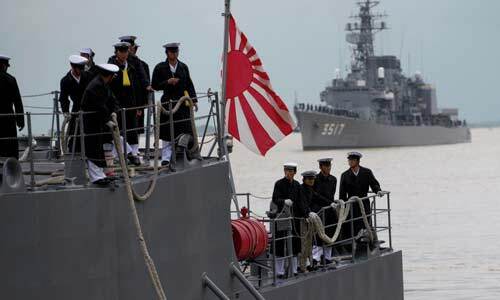 It marks the fifth straight annual increase and reflects the hawkish Abe’s attempt to build up Japan’s military, which since World War II has been constitutionally limited to self defence. Also reflected in the spending is Tokyo’s determination to defend uninhabited islets in the East China Sea –administered by Japan as the Senkakus but claimed by China as the Diaoyus.